Why do men today wear precisely those blue tones that for centuries were reserved exclusively for representations of the Virgin Mary? Why, only shortly after birth, and then if possible for all their lives, are girls associated with pink tones that were once intended only for boys as “mild red”? These examples show that conventions are made by people and can therefore be changed, all the more so if related to gender. They are social agreements, not more, not less. A degree of solace in view of, for example, the latest Barbie generation, which does not restrict itself to passing on traditional color and aesthetic codes to a new generation. You simply don’t need to buy such stuff. The “Hello Barbie” model is meant in future to communicate closely with its child owners. Since Mom and Dad often don’t have time, plastic toys will engage in everyday chitchat with the daughters of tomorrow. The kids’ responses are, and here images of Edward Snowden enter the fray, sent by WLAN to the Web-based “Toytalk” company, which stores them and later evaluates them, to whatever end. So in future girls’ rooms will presumably not just be defined by pink, but also by the surveillance mechanisms deployed by the toy industry’s marketing strategists. 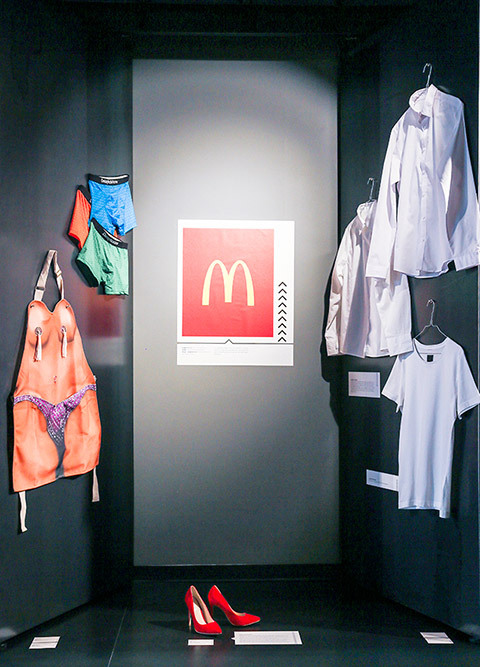 The “international Gender Design Network” (iGDN), founded in 2013 in New York, invited renowned designers and design intermediaries to make their personal juxtapositions of tops vs. flops for the exhibition. Alessandro Mendini and Britta Pukall took part, as did Matali Crasset, Alexa Lixfeld, Anthony Dunne, Douglas Young, Doreen Toutikian, Mateo Kries and many others. They were asked to propose alongside each annoying negative example one that in their opinion featured a gender-sensitive design. 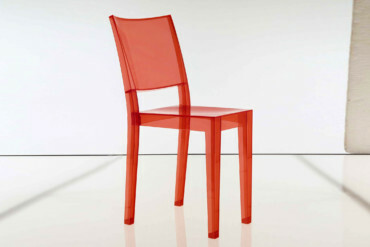 Mendini compared the transparent plastic chair “La Marie”, which he praised emphatically, to the “Gun Lamp”, which he rejected – both designed by Philippe Starck. Virgile Thévoz from London recommends the “Lei” office chair, created specifically for women by Swedish designer Monika Förster, as an example of a flop. 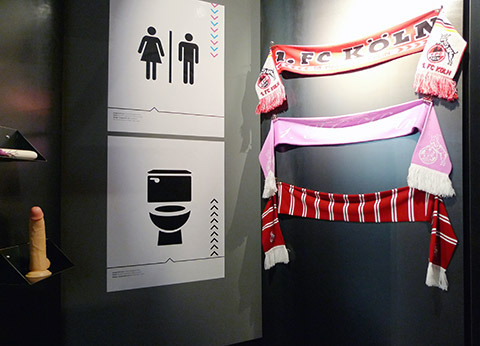 On touring the exhibition, anyone who thinks gender-sensitive design is an attempt to nurture boring neutrality that lowers things to the lowest common denominator will soon realize this is not the case. While the attempt to make the T-shirt the solution to the specific button facings of men’s and women’s shirts may seem a little overly economic, Britta Pukall’s design for attractive crossover underwear for women that is suitable for everyday use, as leisure time apparel and for sports, and as maternity wear is a pleasant alternative to existing maternity underwear in its neutral pale-beige look. The focus has long since ceased to be only on products worn on the body. Why is it that US dollar bills to this day only bear the faces of US statesmen? 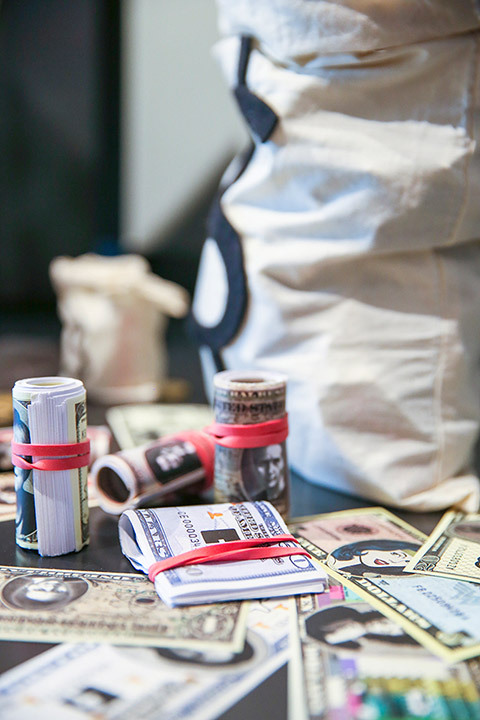 An alternative design reclaimed famous American women for posterity – on bills and coins. 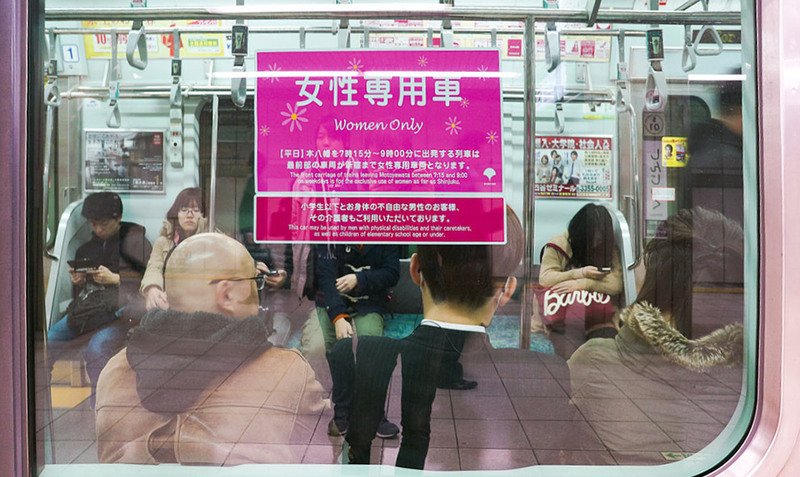 Kunihiko Nakagawa feels ambivalently about Japan’s “Woman Only” subway cars in Tokyo. While they offer protection against everyday gropers in the rush-hour crush, they also lead to a strange form of segregation reminiscent of pre-modern times and do not solve the problems, but simply repress them. Designer Marco Piva criticizes the Italian habit of hanging blue or pink ribbons on a main door to announce the birth of a boy or girl. His glass switch series “VDA” is, he says, consciously gender-sensitive in terms of design. Indeed, at times chalk and cheese get compared here. Nevertheless, the result is praiseworthy. The one or other design gains greater weight when juxtaposed to its opposite. 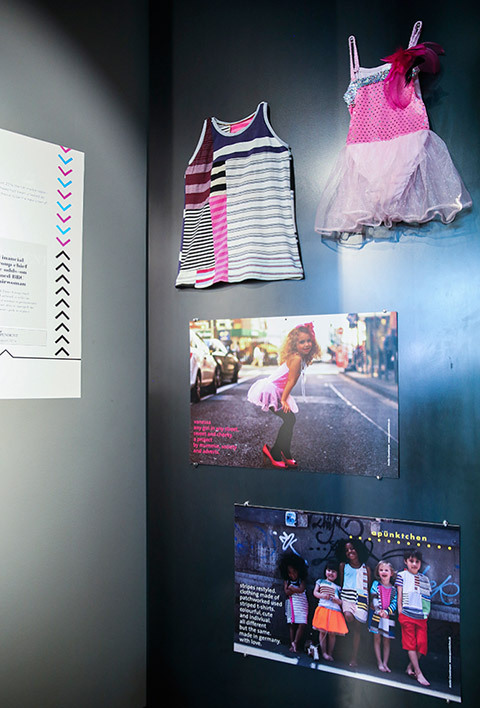 For example, dolls drawn by school kids in Sri Lanka and sewn there by women at a foundation – Hamburg designer Alexa Lixfeld developed and supported the project. The cotton dolls (“Me and my doll”) can be bought in the small designxport gift shop. Half of the takings go to the foundation, of which the manufacturers are members. The figures are especially appealing as the children in Sri Lanka certainly did not draw Barbie dolls, but a great variety of offbeat figures. 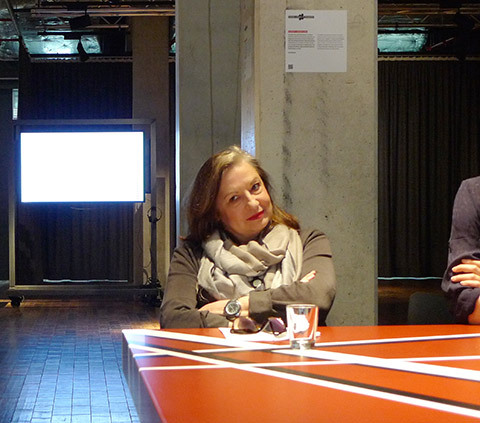 The “Gendertalk” afternoon that coincided with the opening was highly stimulating, and moderated by Uta Brandes and the host, Babette Peters. The participants included: Tanja Godlewsky, a Cologne-based designer who also designed the show; Hamburg designers Christian Schüten and Björn Welzel (Welzel also works in milieu research and as a consultant); and cultural theorist Gesa Ziemer, who is a professor at HafenCity University. “How to design something in a gender-sensitive mode and eschewing clichés of masculine and feminine?” asked Uta Brandes. The question became the main theme addressed in the debate, and it did not sidestep the curious desire precisely for such clichés and products that play to that gallery. Designers Godlewsky and Schüten tackled this issue, referring to the context in which job briefs get defined and the realities of working life, not as an excuse but as the point where change has to first be brought about. The two also pointed to the need for stringent approaches. 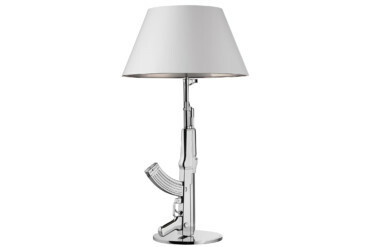 “Why do designers do such things?” Gesa Ziemer enquired. “Do you really think anyone needs them? Or are they simply obeying the diktat of a society that has long since ceased to exist? Björn Welzel described findings from his studies on the designer milieu, which has changed strongly since the 1990s. The profession of designers was previously far more idealist in mindset and a different sort of person was active in it. Previously, designers tended to have a more experimental view of their work, an agenda that focused on improving the entire social world. Since the 1980s design has, he said, emerged as a buzzword. The notion of design and fashion now has the trappings of “lifestyle” about it and is therefore of interest to people who previously did not concern themselves with it. Welzel affirmed that “designers’ cultural capital has dwindled in recent years and they are no longer the spearhead of society.” The discussion also touched on the role of marketing; gender marketing, for example, already tries to define fields for marketing. However, the participants mainly debated not this side to the market, but a new, open approach to design, a form of design that avoids gender attributes and blunt appropriation. “One can change things somewhat by choosing the right materials and objects,” Gesa Ziemer declared. And continued that “design has such a power,” which everyone construed as the optimistic concluding words. 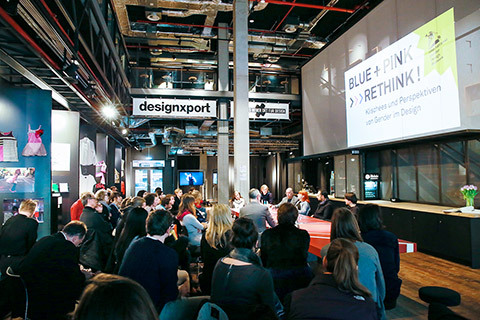 Since opening in July 2014, Babette Peters has already hosted 11 exhibitions at designxport – a new kind of forum that has emerged as what is probably the most important venue for in-depth and controversial debates on design in Germany. Graphics, fashion and advertising are just as much at home here as are product and furniture design. There have been closed meetings and there have been thematic and biographical exhibitions. designxport really hits a high especially when it becomes a venue for debates in a chamber-music format. The participants come from various different communities, showing just how differentiated the design professions have already become. Peters has created a “turnaround point for ideas and projects” in the Elb Arcades, in the middle of Hamburg’s new HafenCity district. 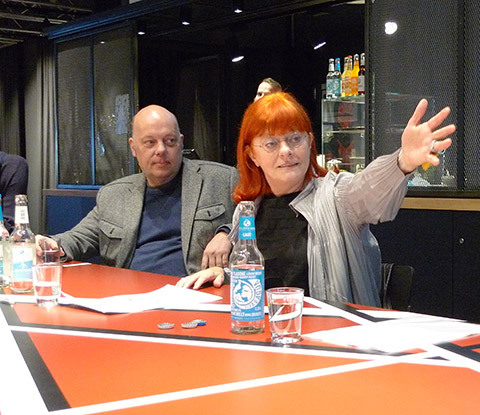 For decades, she laid the groundwork, despite political circumstances in Hamburg often changing, supported by a small association of co-champions who shared her vision. The designxport premises are located in a long new build that is also home to Greenpeace Deutschland and the German iF Design show. The spaces are structured as a variable stage architecture that is just as suitable for showing flatware (usually self-adhering posters and info posters) as it is for presenting 3D objects and multimedia works. Moreover, designxport boasts a compact working library and an equi-sized materials library, a café and a shop with products and little gifts created or supported by Hamburg designers. Architects Stephen Williams Associates, who also masterminded the Hamburg “25hours” hotel next door, have used sustainable materials to launch a unique space. The parquet floor made of fast-growing bamboo is destined to age the more it is used, like the floor in a music club. April 28 – May 15 at designtransfer in Berlin, where there will be a gender talk on April 24, with new members on the panel. Later in the year the exhibition will be in Milan. Hamburg’s Summer of Architecture, the oeuvre of Stephen Williams Associates will be on show. 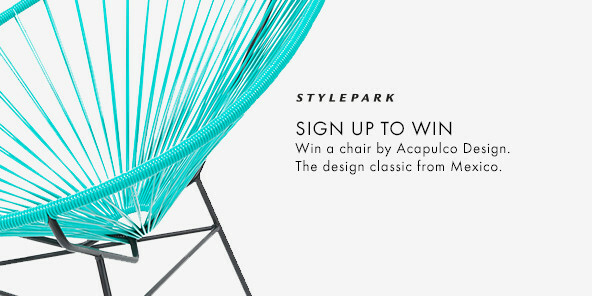 Anyone interested should subscribe to the designxport newsletter. Most of the exhibitions run only for a few weeks. Pain in Marilyn Monroe’s wardrobe: Ever more frequently exhibitions are attempting to explain the current relationship between art and design. This is also true of "Entre deux actes - Loge de Comédienne" at Kunsthalle Baden-Baden. Patricia Urquiola is everywhere: Uta Abendroth spoke with the designer, who has chosen Milan as her home, about the innovations she is presenting at the Salone, prototypes in her own home, and the family factor. The solution to the specific button facings of men’s and women’s shirts: the T-shirt. Another question: Why are girls associated with pink tones? The exhibition has opened at designxport in Hamburg’s Hafencity. Host of the evening and the exhibition: designxports-chief Babette Peters.